Love tropical beach vacations? So do we! Our world is filled with gorgeous tropical travel destinations. We explore the best, most famous, most adventurous and most pristine travel vacation spots in the world, and bring you the very best for your next dream island vacation. 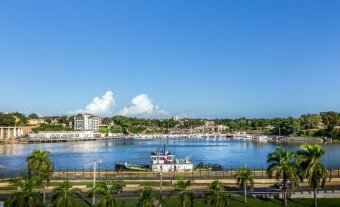 We've included reviews of the best resorts, top things to do at your tropical destination, country information necessary for a vacationer, and planing tips. 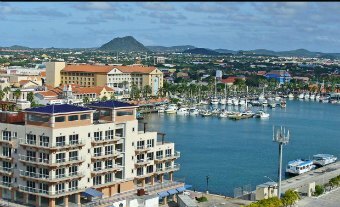 Caribbean islands, all are so different and so enticing. Every island boasts gorgeous beaches that range in color from pure white sand to yellow and black. 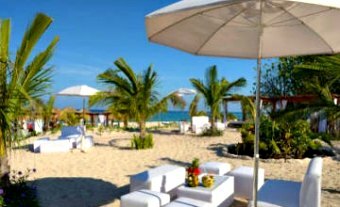 Most offer the convenience of luxurious all-inclusive resorts, as well as smaller inns, hotels and vacation homes. 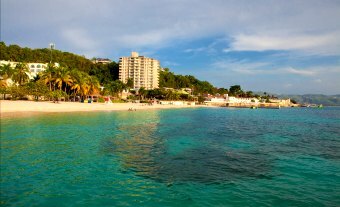 All of the Caribbean islands offer plenty of water sports- scuba diving, snorkeling, parasailing, boat cruises. Each Caribbean island has its own unique history and culture, waiting to be explored. 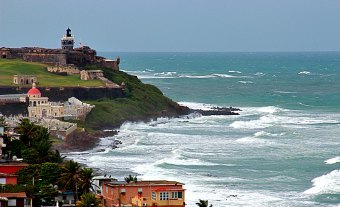 With sunshine and a year-round warm temperature, Caribbean is a popular all-season beach vacation destination. Top reasons to visit Caribbean islands: beaches, diving, Latin dances, different cultures! Aloha! 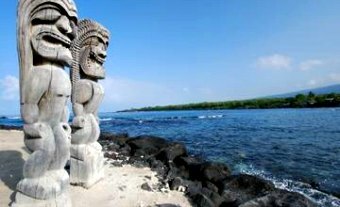 There's something magical about Hawaii islands that makes them a popular beach vacation destination for US visitors, as well as for visitors from other countries. 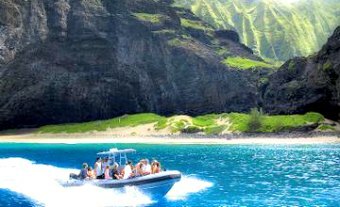 The beautiful waterfalls, white-sand beaches on Oahu to black-sand volcanic beaches on Big Island, spectacular sunsets, natural wonders, surfing, water sports, and Polynesian culture is what attracts visitors to Hawaii all year long. 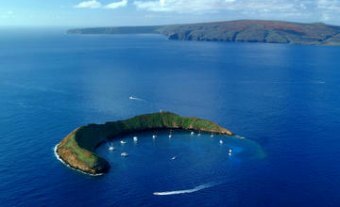 Thanks to its natural wonders and unique culture, Hawaii is a beloved backdrop for many movies. 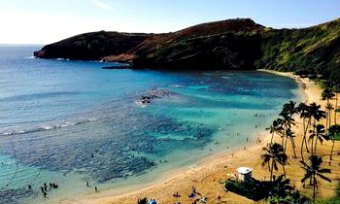 Top reasons to visit Hawaii: surfing, beaches, Polynesian culture, and Pearl Harbor on Oahu! 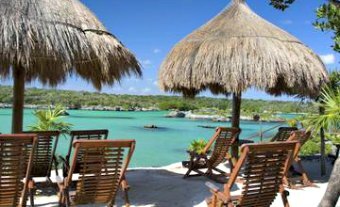 Mexico is a country or never-ending summer, revelry, ancient Mayan ruins, and beaches galore. The first thing that strikes you when you visit the Yucatan Peninsula in Mexico is lots and lots of green space. This area of Mexico was a cradle of Mayan civilization, which left many picturesque ruins - including the world's famous Chichen Itza. 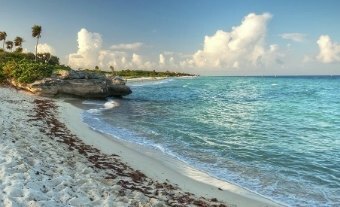 You owe it to yourself to explore the ruins during your Mexico beach vacation, if you select Cancun or Playa del Carmen, located on the Caribbean side of Mexico. 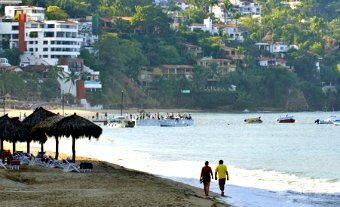 Puerto Valarta, on Mexico’s Pacific coast, is teeming with nightlife, beaches, and water activities. No matter which part of Mexico's coastline you choose for your next beach vacation, you are guaranteed to have a blast. Vamonos, Amigos!